The adult son of the deceased was also reported to have been in the mobile home at the time of the fire, but emergency responders did not locate him. Two dogs also were found underneath the home and had suffered from burns, but they’re expected to survive. 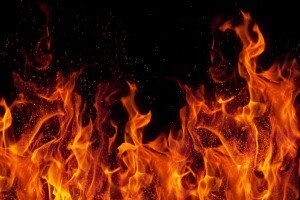 In 2011, nearly 1.4 million home fires occurred throughout the country. That number actually shows a significant decrease from just a decade prior, when nearly 20 percent more home fires were reported. Fire-related deaths have decreased by more than 20 percent in the last decade, yet more than 3,000 people die each year from fire-related injuries. The total number of serious (but not fatal) fire-related injuries hasn’t declined as sharply (only by about 5 percent over the last decade). More than 17,000 Americans suffer injuries each year in fires. Home fires result in billions of dollars of damage. Indeed, fires lead to more than $11 billion in damages annually. Fire-related injuries and deaths often result from a homeowner’s or renter’s own negligence, but they also happen because of another party’s negligence. If you or a loved one has been injured in a home fire and has suffered serious burn injuries, it’s important to discuss your case with an experienced San Diego personal injury lawyer.